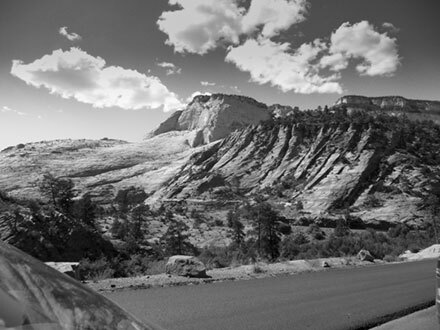 Because the canyon area in Zion was very crowded, we decided to take the drive through the Mount Carmel Tunnel to the top of Zion National Park. The road was undergoing repair so most of the view points were closed. However, it was still an interesting drive. The Mount Carmel Tunnel is a 1.1 miles long. It was completed in 1930 and was the longest tunnel of its kind in the US. 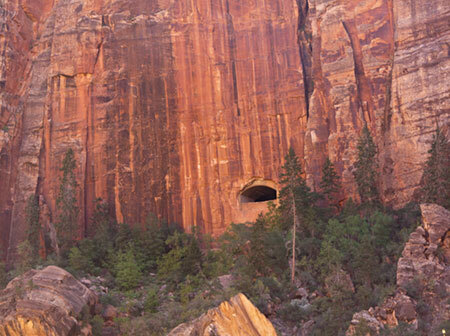 The tunnel and road were built to allow direct access to Grand Canyon National Park from Zion National Park. There is no development in the park along the Zion Mount Carmel road. There is one trail which was blocked when we drove by, restrooms at the park entrance and that's it. 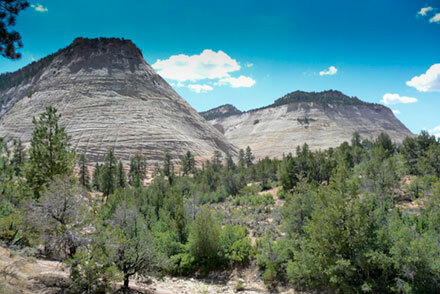 The character of the land is very different from the canyon. This is a high dry land. 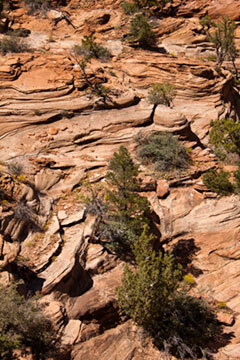 There are trees here, but none of the lush growth that exists along the river in the canyon below. 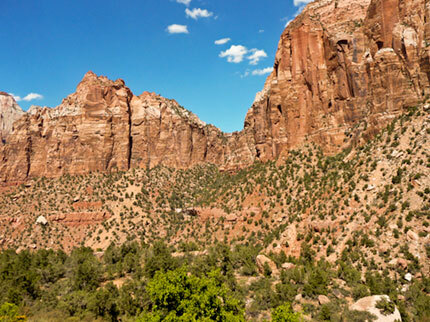 Almost all the turnouts were blocked by construction so we were not able take any hikes in this part of Zion. 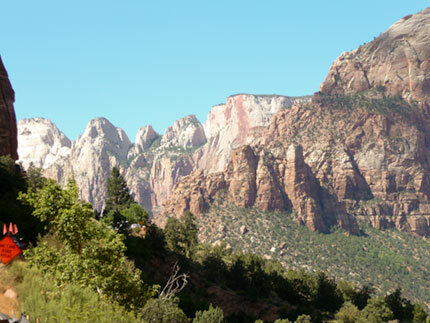 Zion National Park dot com provides a good list of hikes for Zion including many along the Zion Mount Carmel Highway. 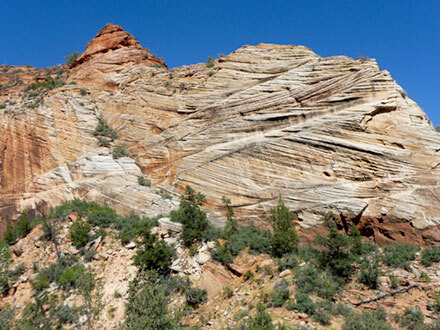 We hope to take some of these next time we visit Zion.